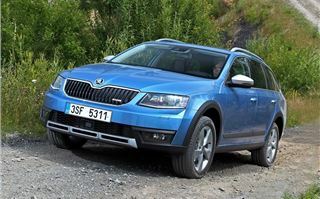 The Skoda Octavia Scout has carved out a very nice niche for itself. A practical estate with four-wheel drive, chunky bumpers and a raised ride height, it's proved to be very popular, particularly among the towing fraternity. 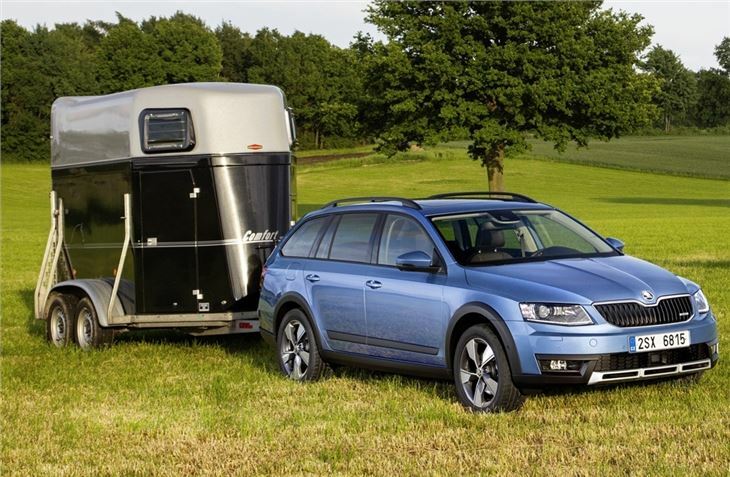 And the new Octavia Scout looks to builds on the strength of its predecessor with more space, better fuel economy and an improved towing capacity. Some things remain the same though and that includes a competitive price tag. 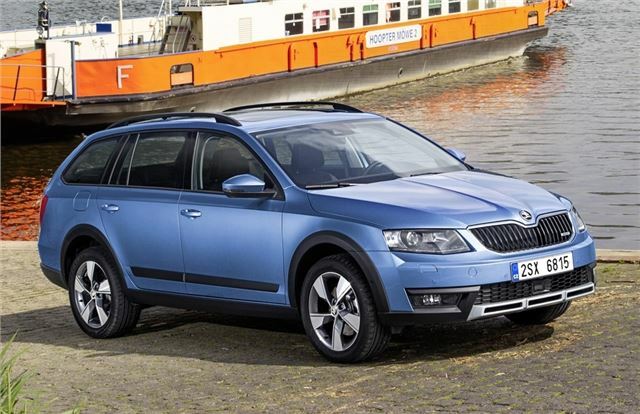 The Octavia Scout starts at £25,315 and there are few direct competitors - in fact most come from within the Volkswagen Group collective. 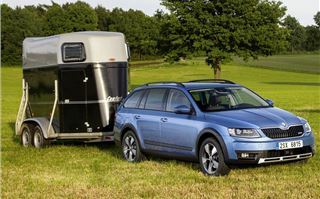 There's the Volkswagen Passat Alltrack, which is more than £29,000, or the Audi A4 allroad which starts at more than £32k. 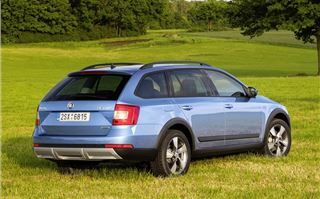 While the Skoda badge may not yet have the prestige of its counterparts, it certainly has all the qualities. 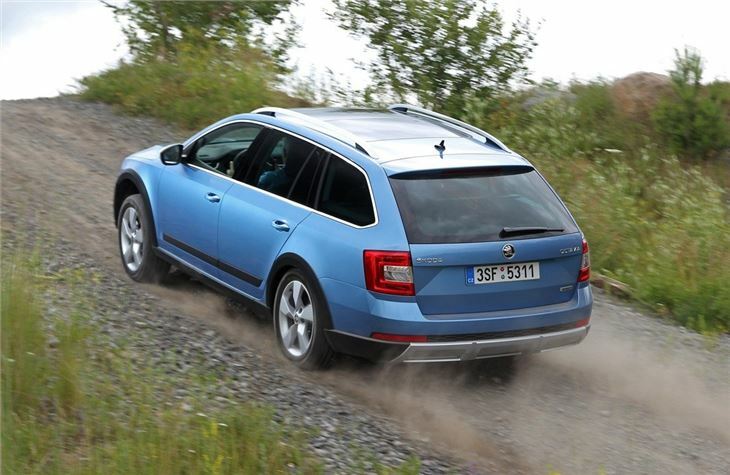 Like the Octavia Estate, a car we've been mightily impressed by, the Scout is solidly built and has a high quality feel to it. 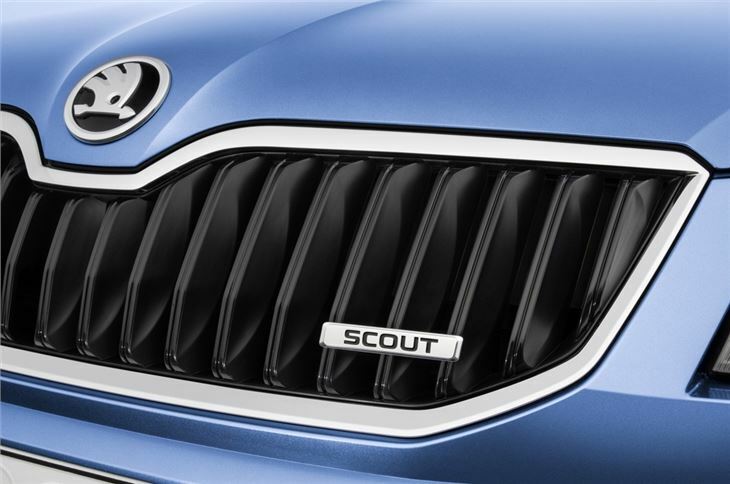 Admittedly, it's not the most dynamic of designs, but the Scout extras such as the underbody guards, roof rails, wheelarch claddings and chunky bumpers certainly add to the outdoorsy and rugged appearance. Of course you can get an Octavia Estate 4x4 and the Scout is considerably more expensive - around £2500 compared to an SE trim. But the changes are more than just cosmetic. 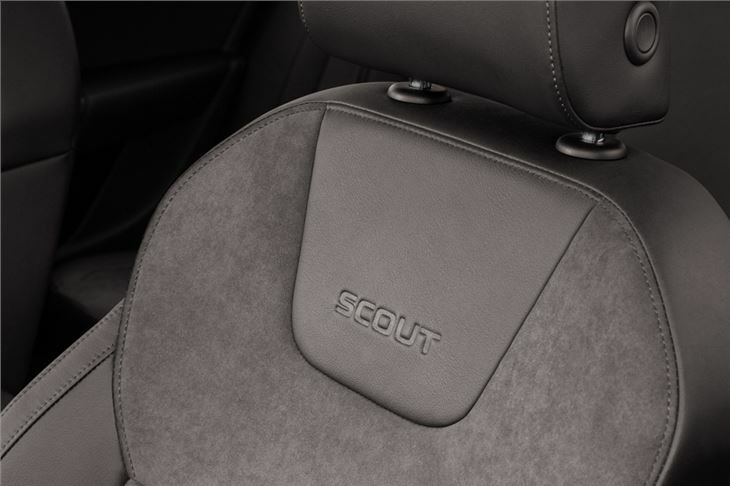 Along with a raised ride height that's 33mm higher, the Scout gets a rough-road package that includes extra shielding for the brake lines and fuel pipes to protect them over rough ground. 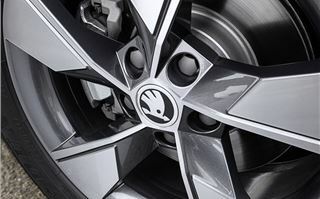 There are also unique 17-inch five-spoke alloy wheels with 225/50 R17 tyres. One big selling point of the Octavia Scout is the fact it's available with the more powerful version of the latest 2.0 TDI engine. 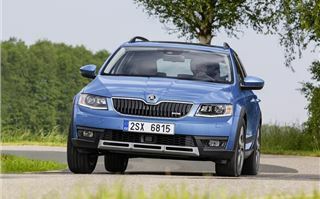 The 184PS variant is the same common rail diesel that's used in the Volkswagen Golf GT and this is the first time it's been available with four-wheel drive - something that Octavia vRS drivers have apparently been very keen on according to Skoda. 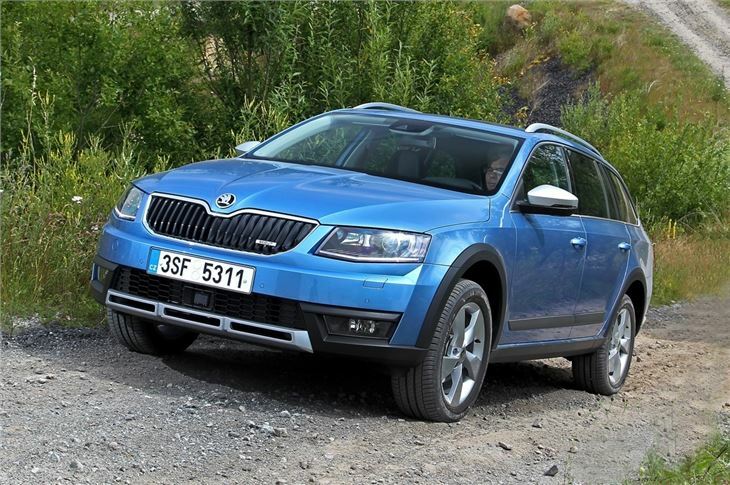 It's no vRS, but fitted with the more powerful 2.0 TDI 184PS engine the Scout gives strong performance, helped in no small part by the 380Nm of torque. It comes exclusively with the a six-speed DSG gearbox which provides smooth and rapid changes, although it can be a little slow to respond when gently pulling away from a standstill. There have been numerous problems with twin clutch DSG gearboxes in the past so we have reservations about recommending this, particularly if you plan on keeping the car for several years. 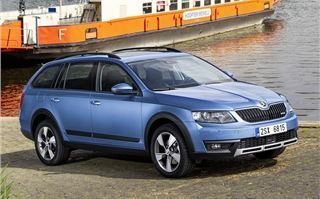 If you want a standard manual there's the same 2.0 TDI but with 150PS. It has marginally less torque at 340Nm but in everyday driving there is very little to choose between the two. On the move the 150PS TDI is still as strong and equally as refined, even when revved hard, which there's no real need to do, as all the torque peaks from 1750rpm. It's also more than £2500 cheaper than the 184PS yet still has the same 2000kg braked towing capacity - up from 1600kg in the previous Scout. Economy has improved over the old Scout and both versions return an identical 55.4mpg according to the official figures. Refinement is another area that's better with little road or engine noise on the move and a very forgiving and smooth ride. It means that the Scout copes very well over rough and uneven roads, while it's still composed through corners, albeit with noticeable lean when pushed. 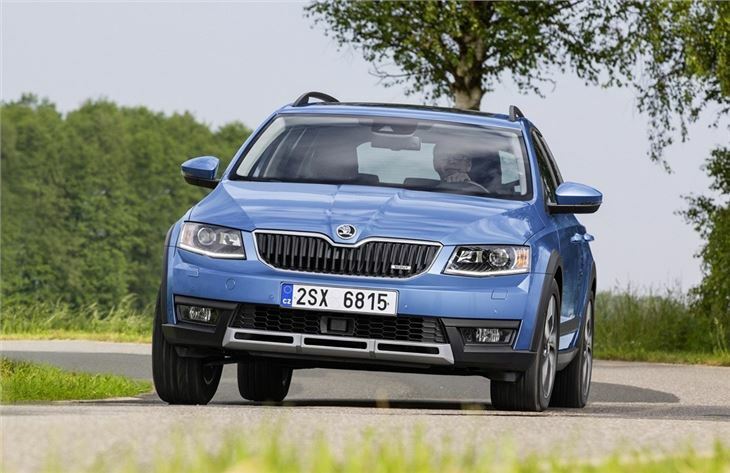 Inside there are plenty of typically Skoda 'simply clever' features that make owning an Octavia Scout that little bit easier. 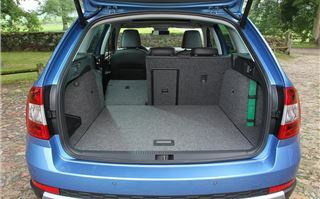 Features such as a double-sided boot carpet, an ice scraper that fits in the fuel filler flap and a bin in the door pocket with a removable plastic bag. 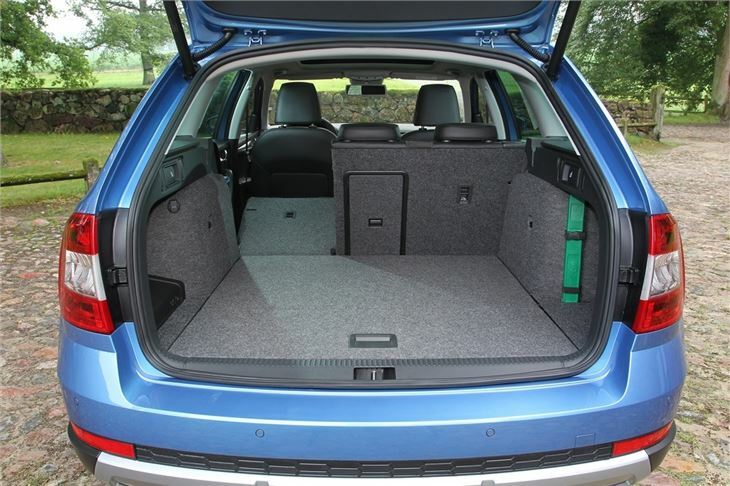 Of course being an Octavia there is plenty of storage with large door pockets that can accommodate drinks bottles and a large centre cubby under the armrest. 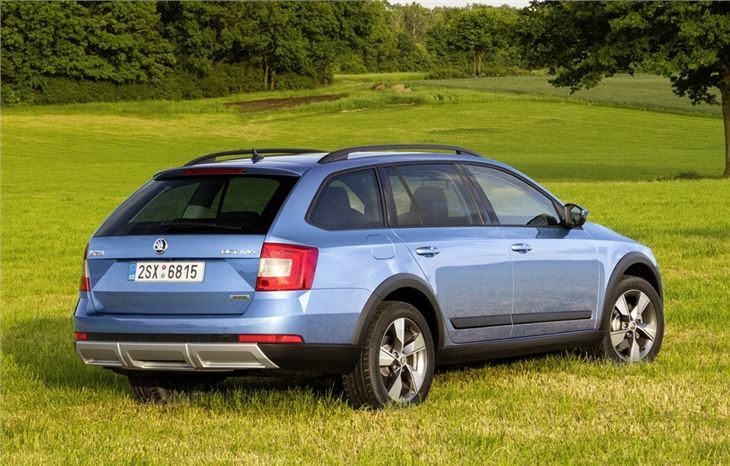 Like the Octavia Estate there's plenty of room too, with impressive space for rear passengers, particularly in terms of leg room while the 610-litre boot has a wide opening and a low load lip, plus you can flip the rear seats down in one go by pulling on a lever in the cargo area. The four-wheel drive system uses a new Haldex-5 clutch which is lighter than before but works much the same way, automatically altering the power to either the front or rear axle when required. 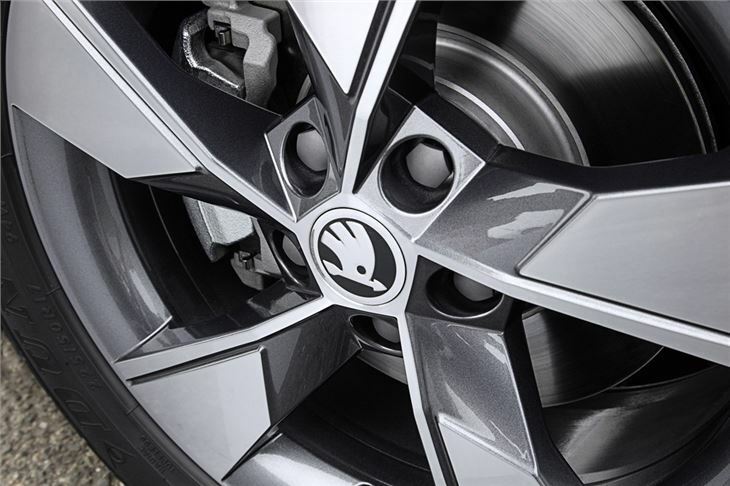 In everyday driving the Scout runs in front-wheel drive, saving fuel while an Electronic Differential Lock works to deliver traction to the wheels with the most grip and braking spinning wheels that have no traction. 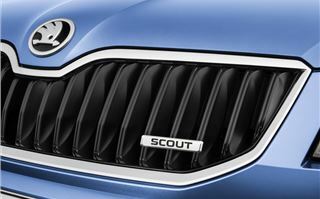 This means the Scout is an extremely simply car to use and the driver doesn't have to do anything to engage four-wheel drive. Admittedly, the Scout does lacks the systems of a Yeti 4x4, such as hill descent control, but it's still mightily capable on off-road terrain, so you don't feel short changed. Indeed, fit one of these with winter tyres and it will be unstoppable in snow and icy conditions. 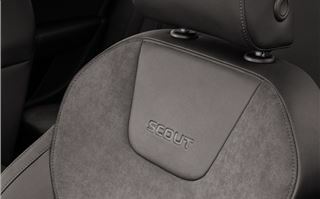 In our opinion, the Scout is more than just a 'lifestyle' statement, it's an ideal car for towing and with its raised ride height and 4x4 system, it gives you genuine off-road ability without the need for a proper off-roader.